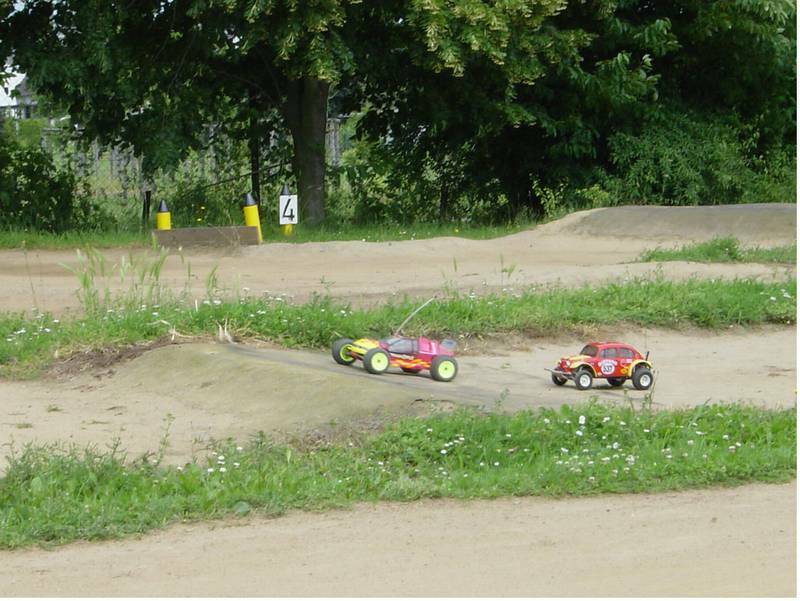 This time we made it to a nearby local race track, where we met 2 very friendly guys racing their Losi monsters & buggies and an Asso touring car. Time to put my Scorcher on track! As I exspected, the Scorcher scored 5:1 over the Losi (counted in laps: Scorcher runs 1 lap where Losi runs 5 laps in the same time ) Overall it was fantastic fun with friendly people and no Scorchers where harmed during the racing session! I'm glad to have met these guys, who drive for fun only and not for competition purposes.